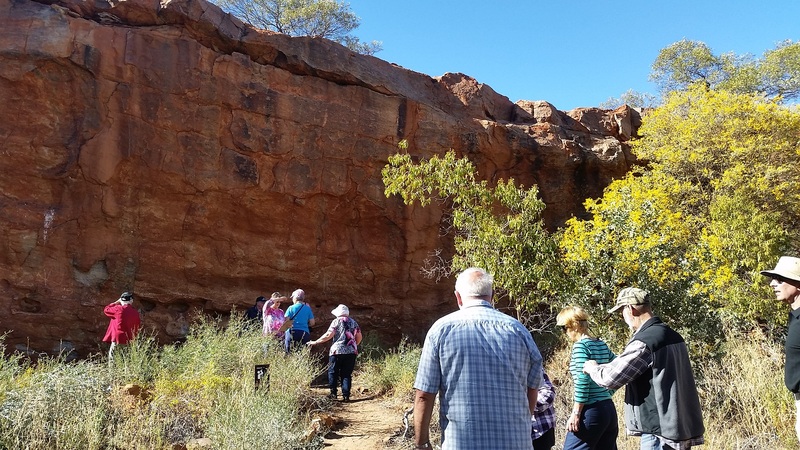 Travel through classic outback territory with the highlight being Mt Augustus, one of the most spectacular monoclines in the world. 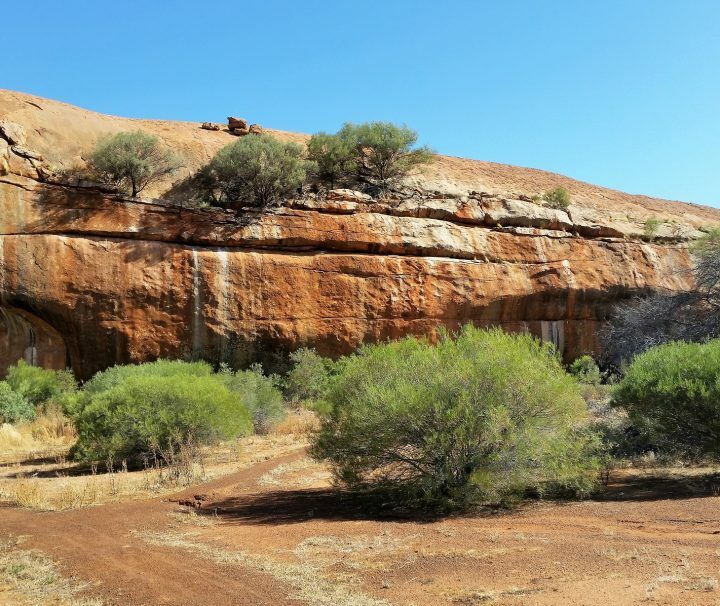 Walga Rock is claimed to be the second largest monolith in Australia, and it contains a cave with an extensive gallery of indigenous art. 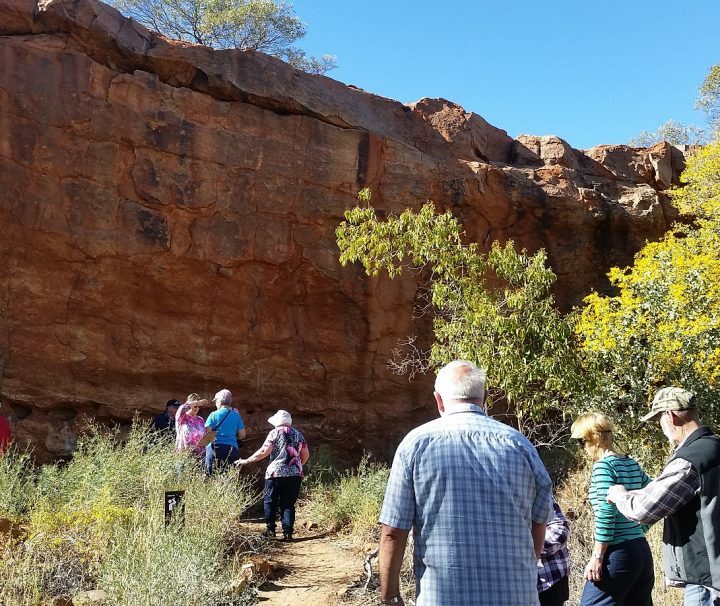 The paintings at Walga Rock are thousands of years old. 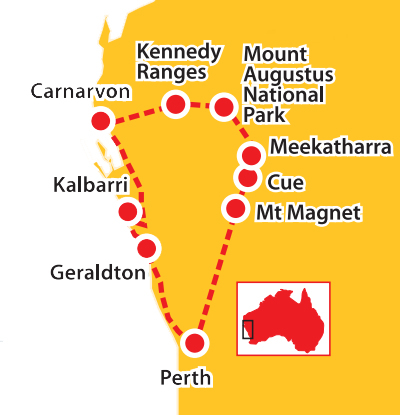 This tour also takes in the beauty of the Kalbarri National Park. 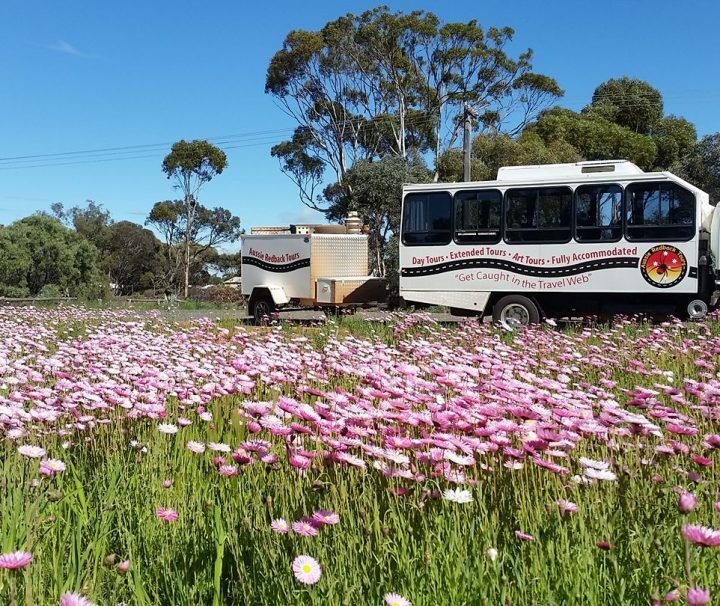 Kalbarri – Monkey Mia – Wildflowers – SOLD OUT! 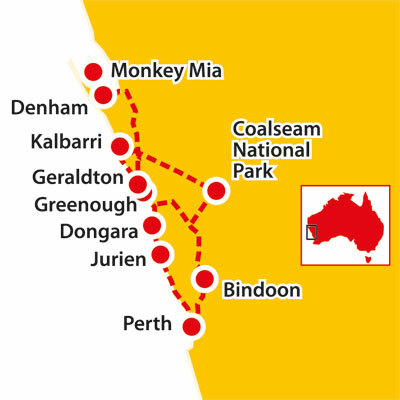 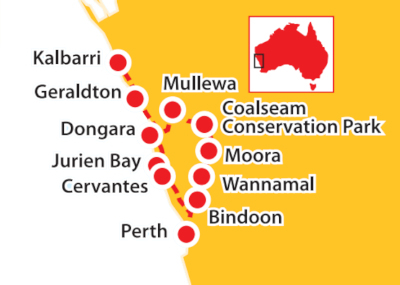 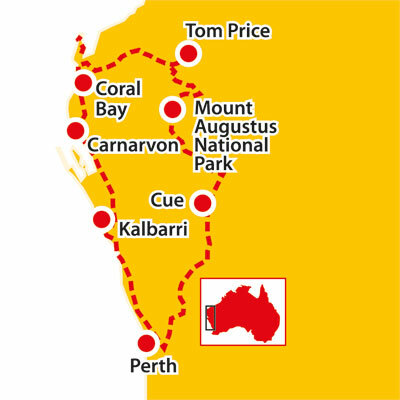 A combination of stunning Western Australian beaches, rugged gorges, and unique floral landscapes. 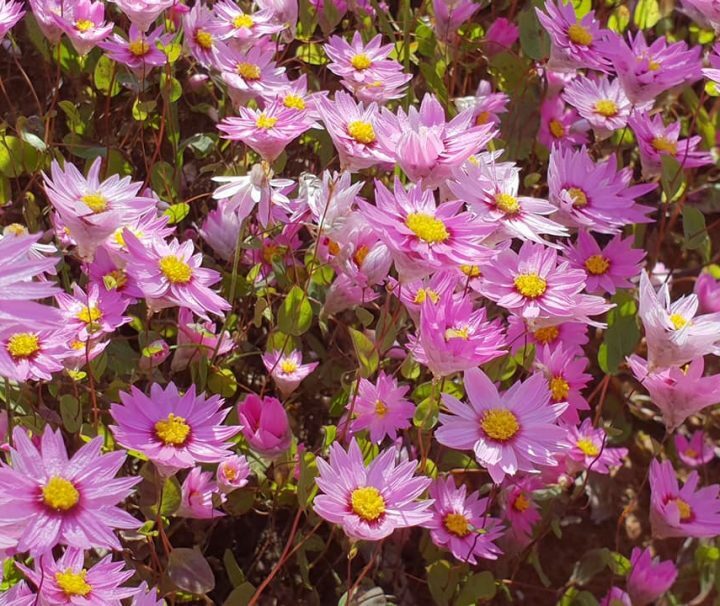 Take in the beauty of the northern wildflower areas of WA, spotting the elusive wreath flower, carpets of everlastings, and more. 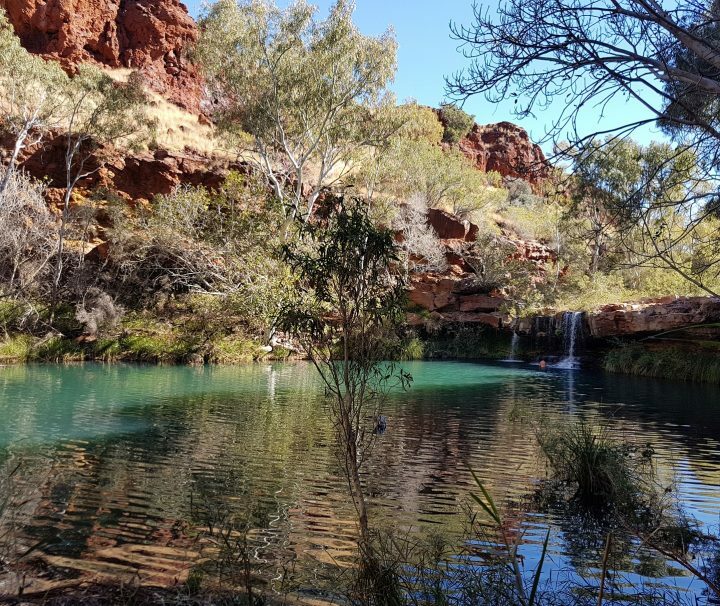 Visit Mt Augustus, one of the most spectacular peaks of the world’s largest monoclines, and Karijini National Park with its spectacular gorges, creeks and chasms.